Concealing correctly - a key to a perfect-looking skin without piling too much! For someone who isn't getting any younger, you'll see that my choice of makeup gets lesser and lesser by the day! I've done so many Get Ready with Me on AMW IG TV and you'll see that I almost can't live without concealers nowadays! I can say bye bye to foundation but NOT concealers. I've tried so many concealers and I don't discriminate based from their price points! I am always on a lookout for good ones no matter what the price tag is! I recently tried SilkyGirl Quick Fix Care Concealer and this is included in my inexpensive yet effective concealer list. The concealer is straightforward, it says "Care Concealer" because of the added benefits in the ingredients. Let me be judgmental for a moment and talk about the packaging! In ALL cream or liquid concealers, I like them in doe-foot applicator-type of packaging - I've said that so many times and Stila Lipgloss didn't do well on me because for the same fact that the packging is similar to this one from SilkyGirl. I dislike the "click click" pen type packaging and I dislike the fact that the brush is left with "old concealer" after every use. I had to wipe them off with a makeup remover wipes every single time I use the product which I feel isn't necessary for other concealer brands! For a new product, you need to click approximately 40-50 times before you start to see the product come out. Once it comes out, the next clicks would be easier. The product comes out from the center and you use this brush tip to apply directly on your skin or in some cases, for hygiene purpose (if you are a makeup artist), it is best to apply at the back of your hand and use a separate brush instead. There are a total of 2 shades to choose from, I can't say they covered all the shades for us Filipinas but it covers the "warm" side. My best bet is Natural Medium to cover my undereye circles while Natural Light is a great highlighter for me. Since I plan to use this for personal use, I use the brush that comes with the packaging straight to my skin and so far, the brush is good quality and easy to work with, again, if you don't mine wiping off the brush after every use! 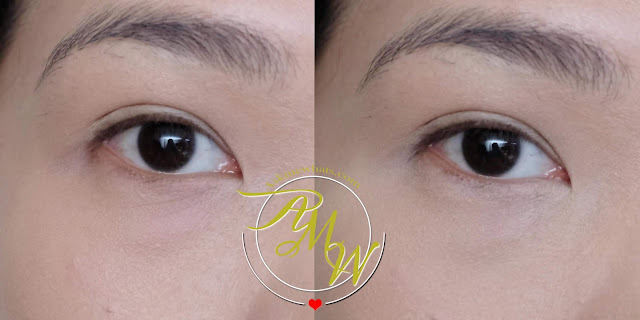 If you prefer to leave it that way, it is your choice but it is still best to use "fresh and new" concealer from the tube rather than using old concealer exposed on brush. The concealer has medium consistency, meaning, it is not too watery or too creamy. I find the texture to be just right for daily wear and perfect especially for those who have dry undereye area. It does not sit in my dry lines and wrinkles instead, it smoothens out the area making my eyes look more awake than ever! You are free to build coverage depending on how dark or how read the spots you want to cover. It has medium pigmentation making it a nice product for first-time users since it is a breeze to blend. Overall, I am happy with the product. I think I would appreciate it more if it's housed in a different packaging but that's just my personal preference. Silkygirl is available at Robinsons Department stores nationwide.